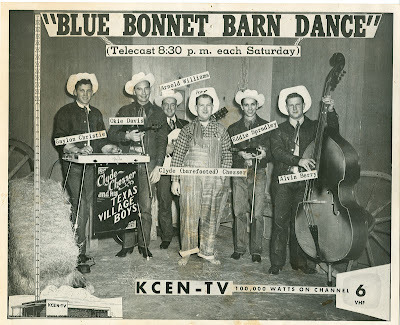 Alex adds: The Blue Bonnet Barn Dance was probably Chesser's most popular show on TV. 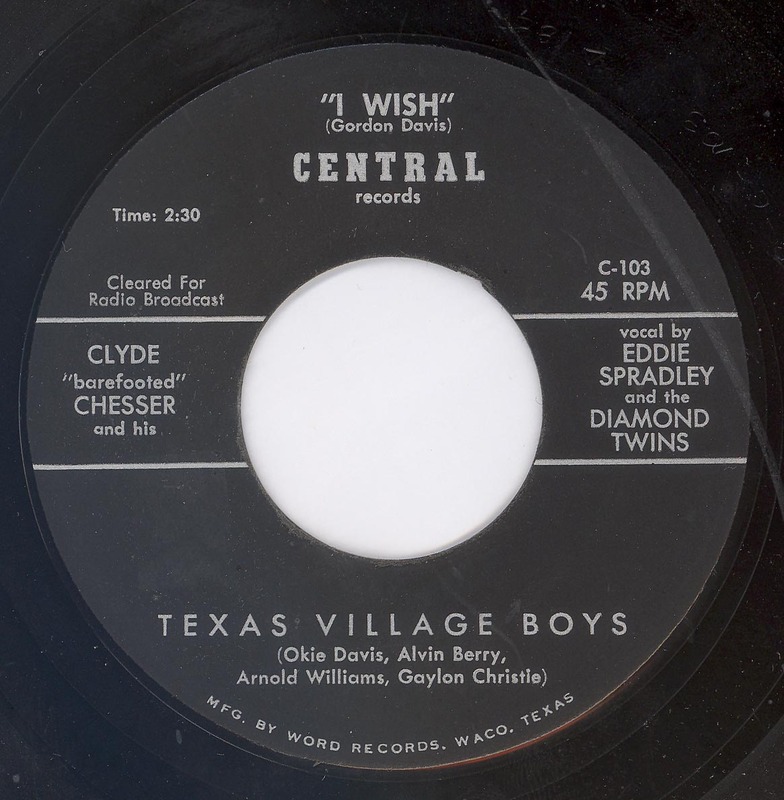 It started in 1953 in the Waco/Temple area and starred him as well as the Texas Village Boys and other local singers, such as the Diamond Twins, Jim DeCap, Wanda Gann, and others. By 1955, the show was so successful that you had to order tickets four weeks before the show aired. 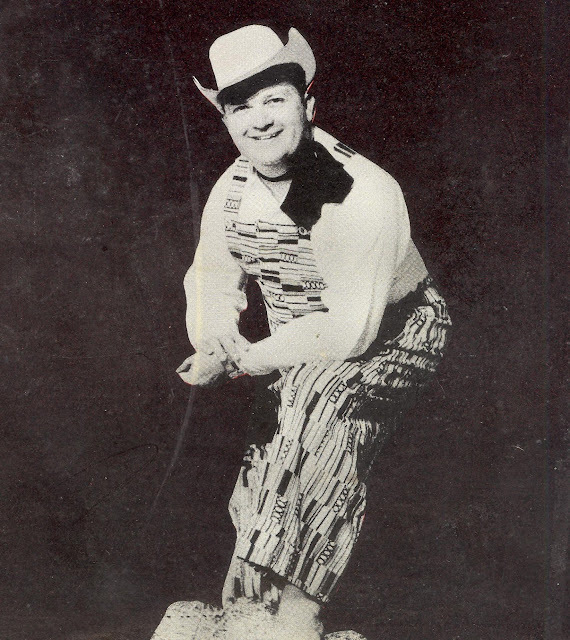 The show reached around 140.000 people every Saturday evening through TV. 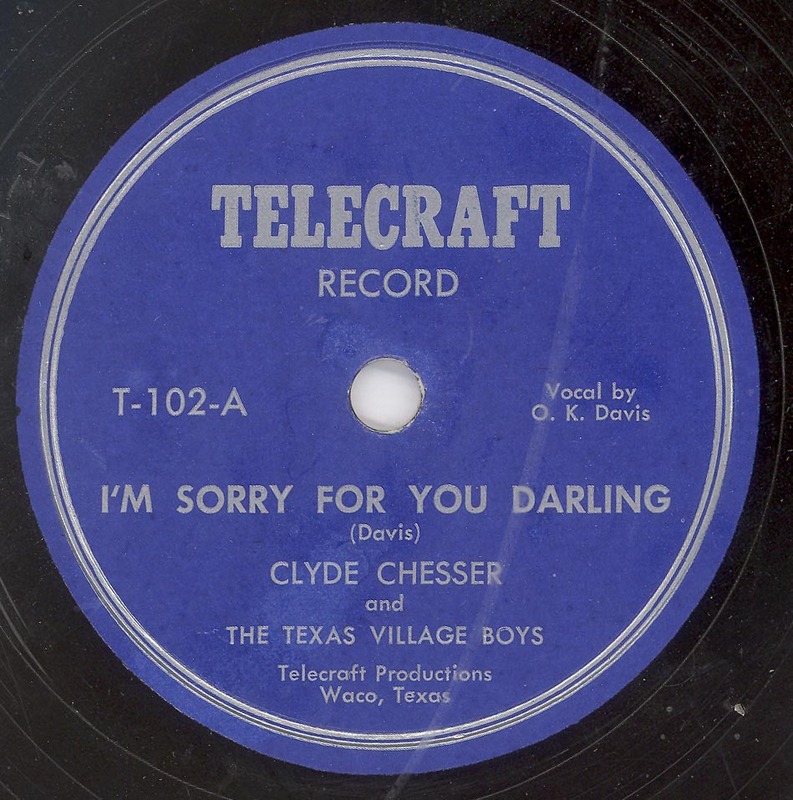 When Chesser moved to Austin in the early 1960s, the show's run ended. In Austin, he hosted the CC Jubilee on KOKE. 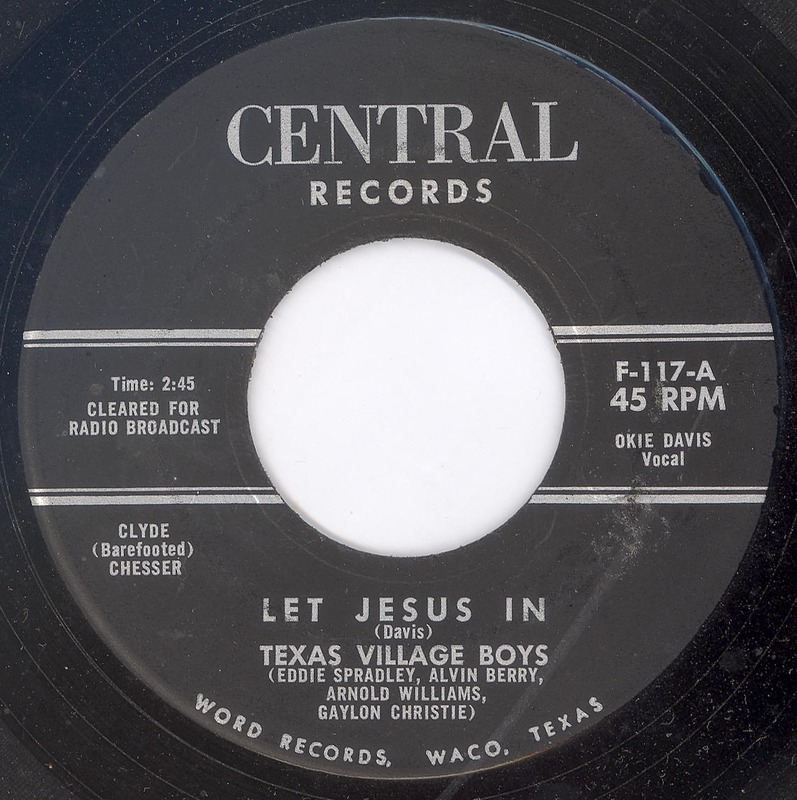 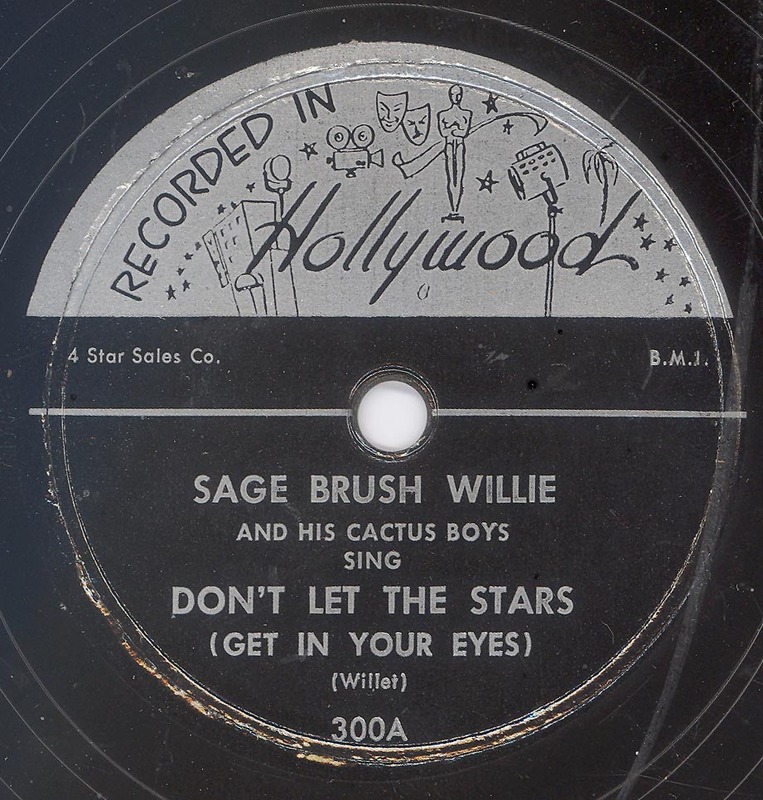 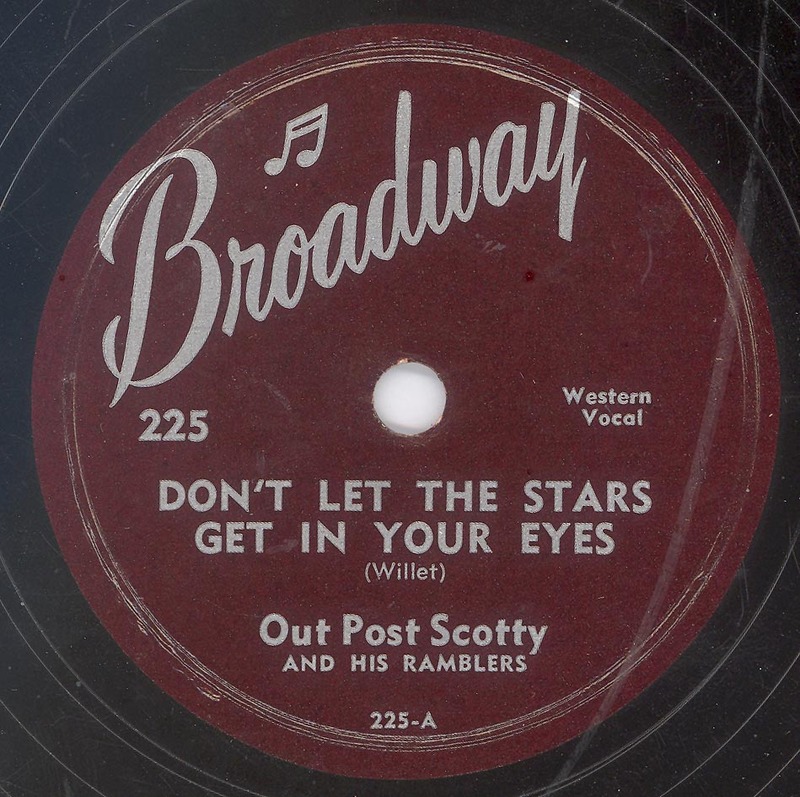 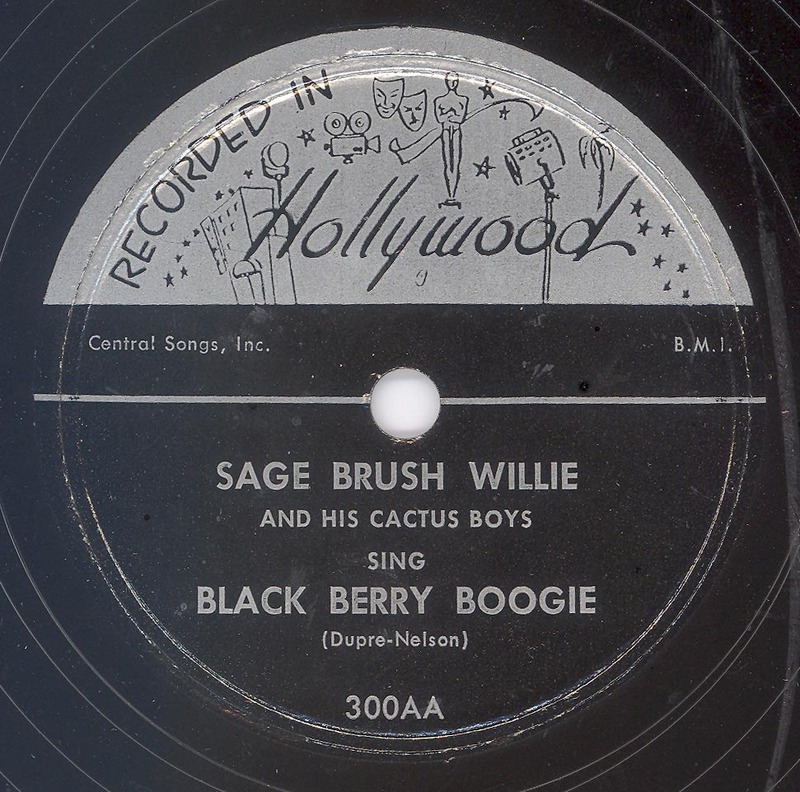 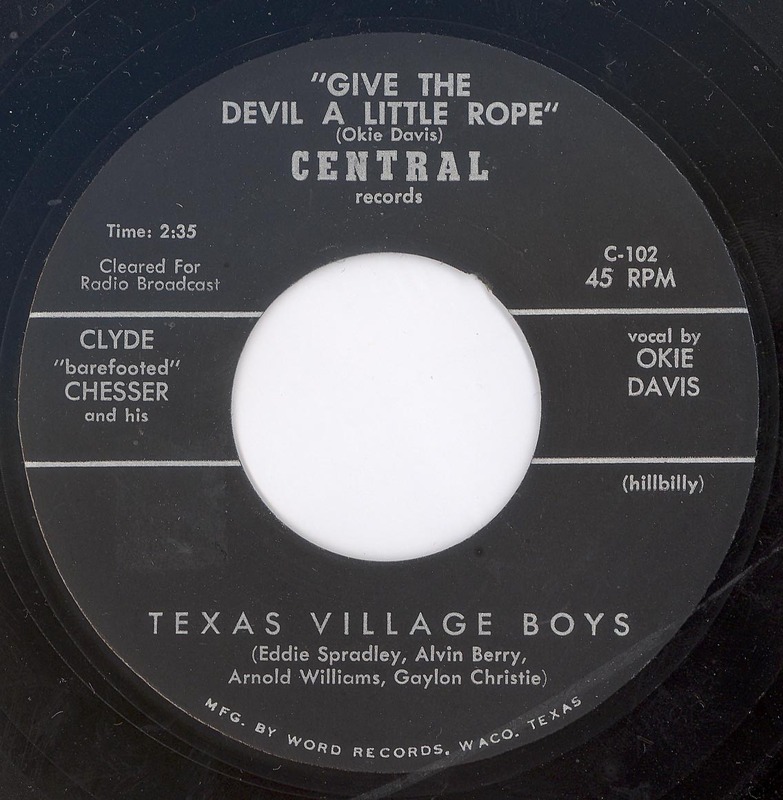 COWBOY SONGS (October 1955) noted that the members of The Texas Village Boys were Gaylon Christie, Oakie Davis, Eddie Spradley, Arnold Williams, and Alvin Berry, which is the line up in the undated photograph above. 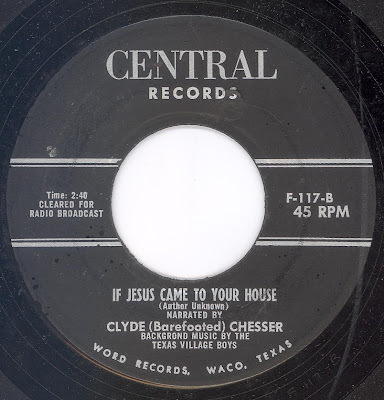 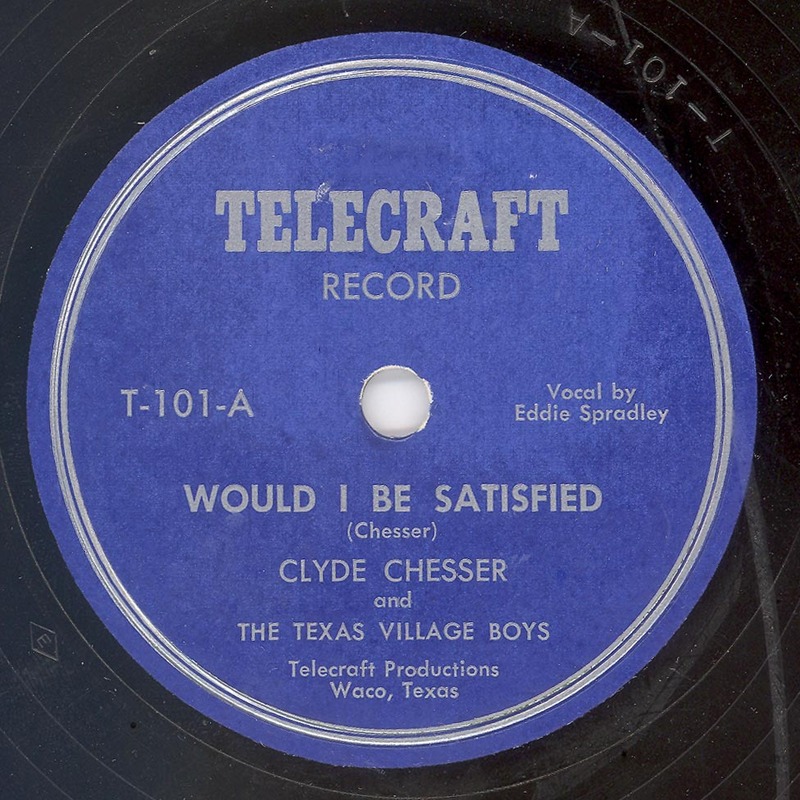 The second record by Clyde Chesser, that I am aware of, is CENTRAL C-102/C-103. It is quite possible, given the numerical sequence, that there is a prior release on the label at C-100/C-101, however, I have not come across an earlier release on the label as yet. CENTRAL C-102/C-103 is a monarch (delta) pressing from around November 1954. 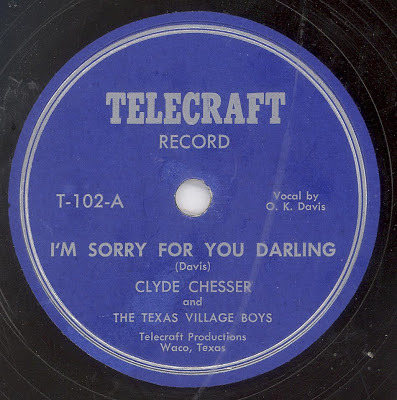 Apparently, according to "Cowboy Songs", Clyde Chesser enjoyed modest regional success with the record in July 1955. 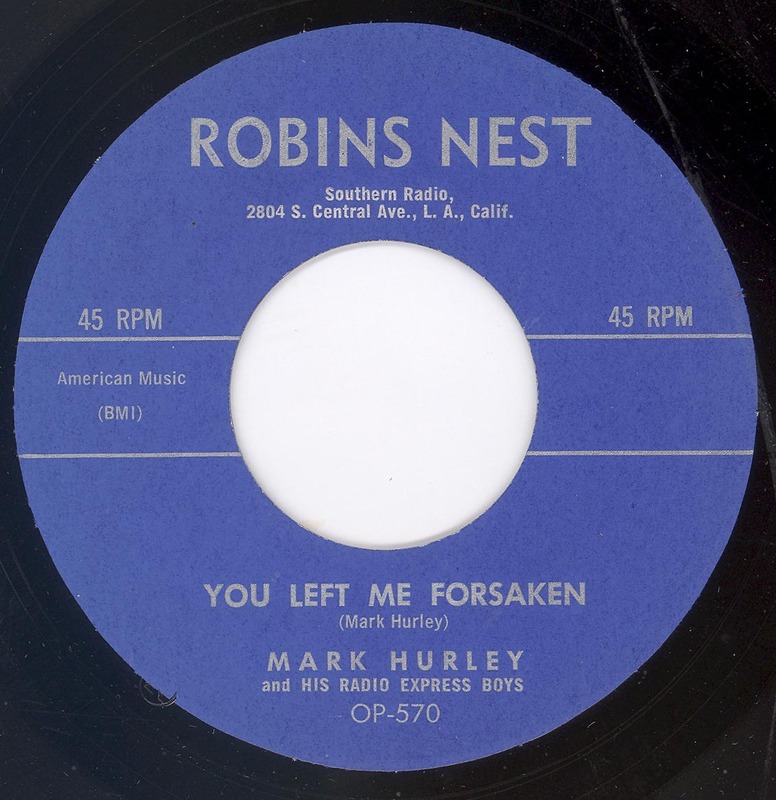 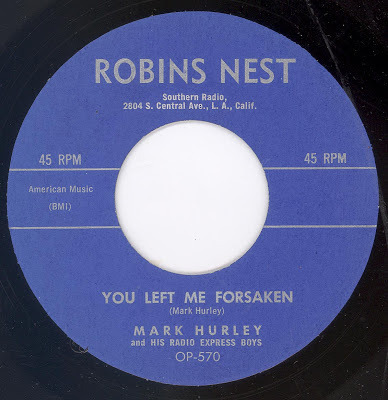 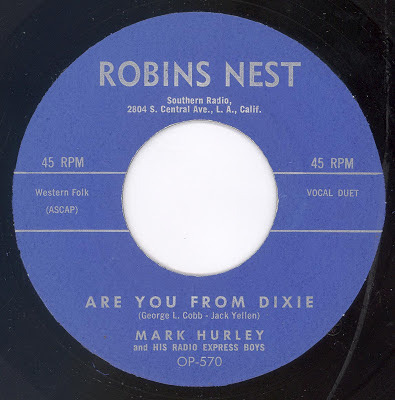 I'm not quire convinced that this one should be here, personally I don't consider it to be Hillbilly, Country, or Western Swing, although it does have a nice guitar / steel guitar. 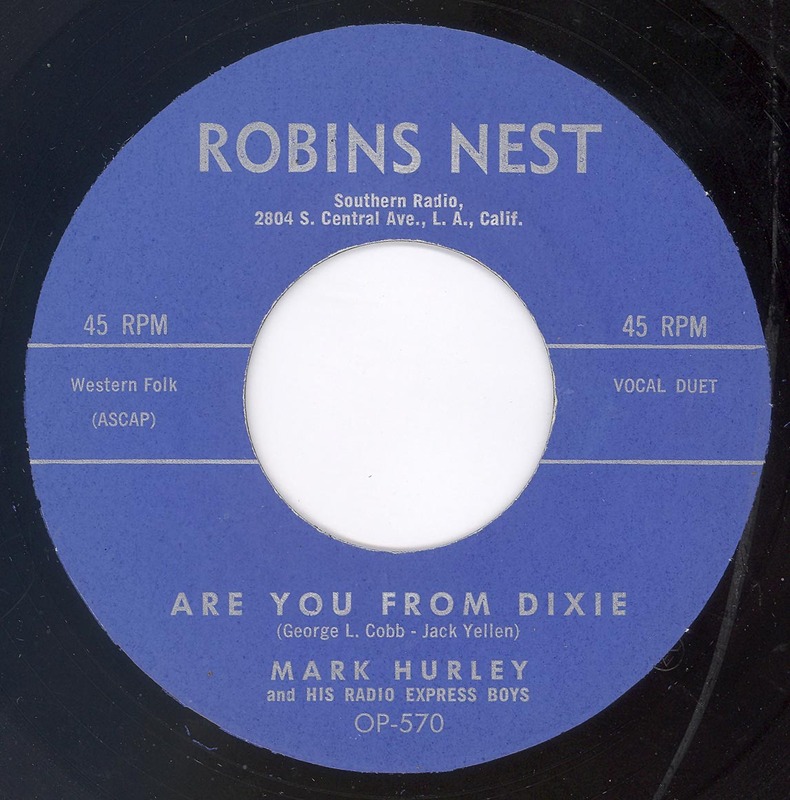 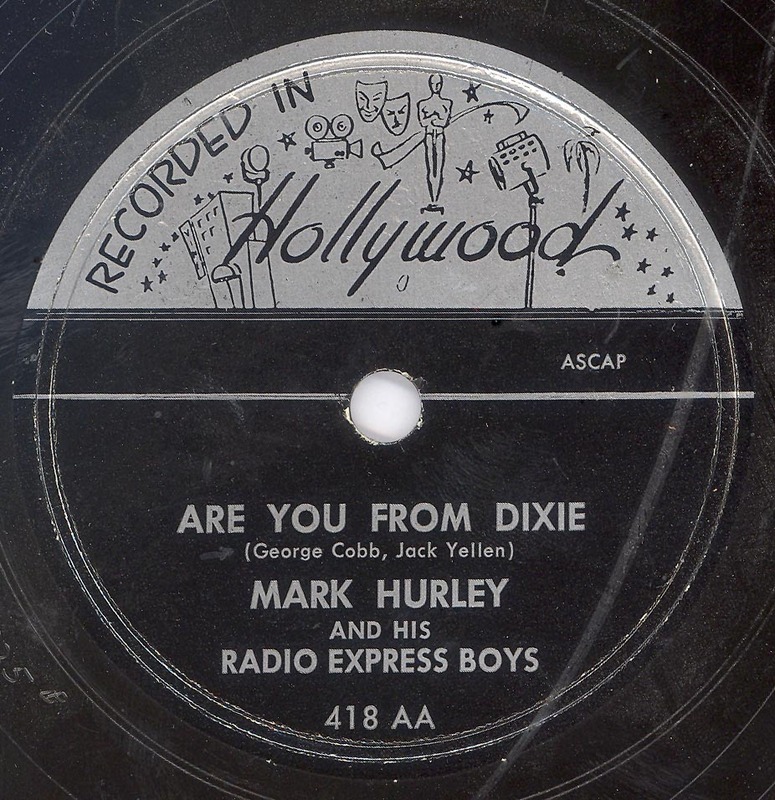 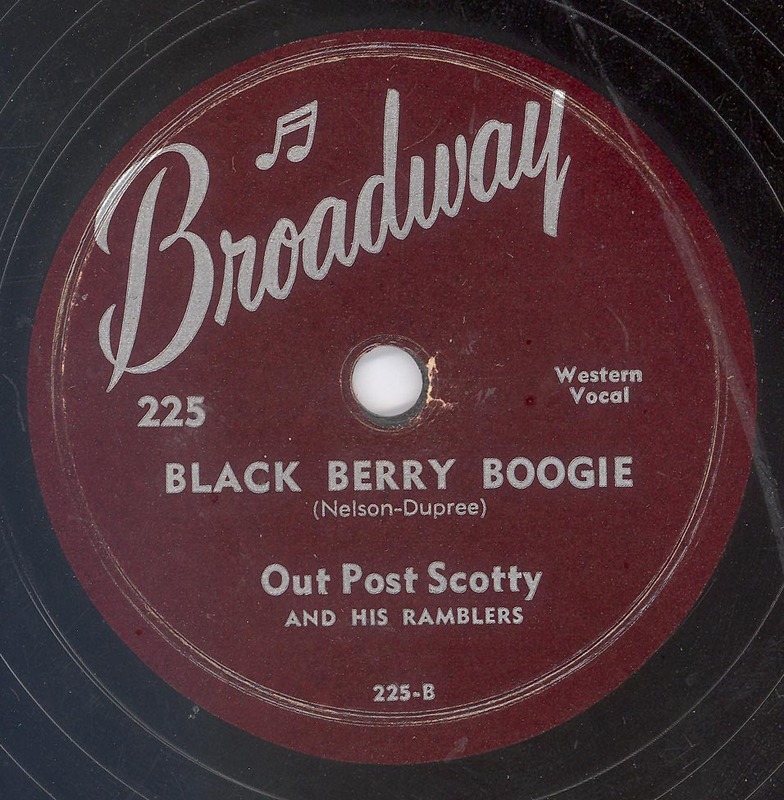 ARHOOLIE included "Are You From Dixie" on a Western Swing compilation many many years ago. 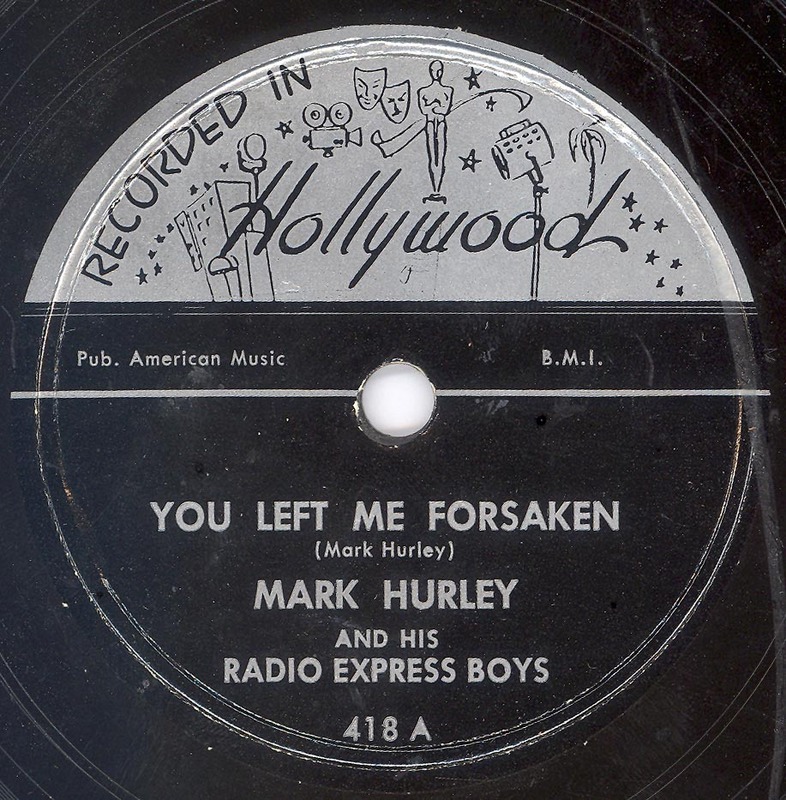 To be honest I think both sides of the disc owe more to vaudeville than anything else, especially the vocal. 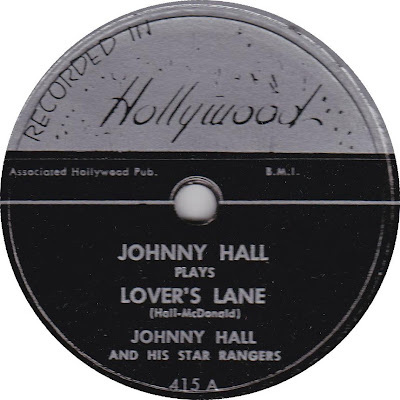 Obviously it was a popular disc, as both sides were reissued some ten years later! 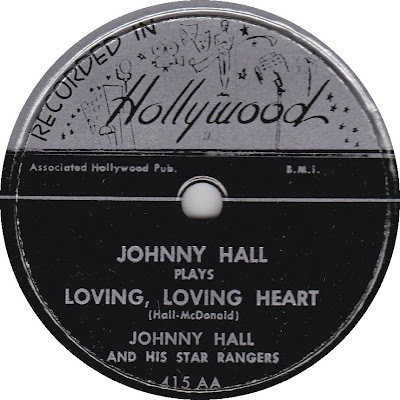 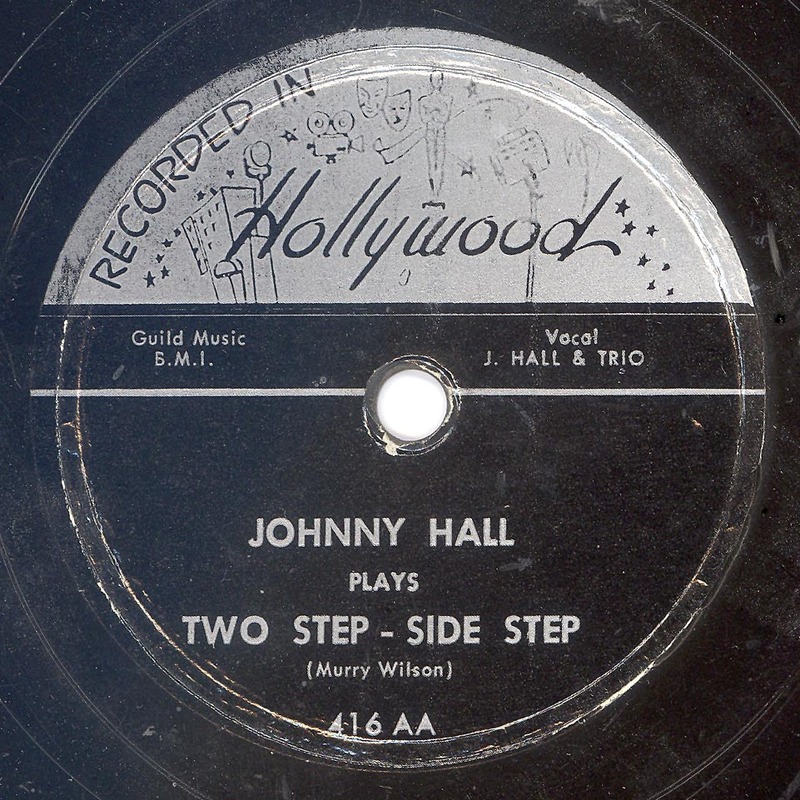 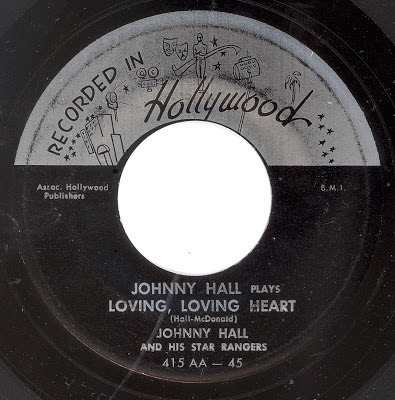 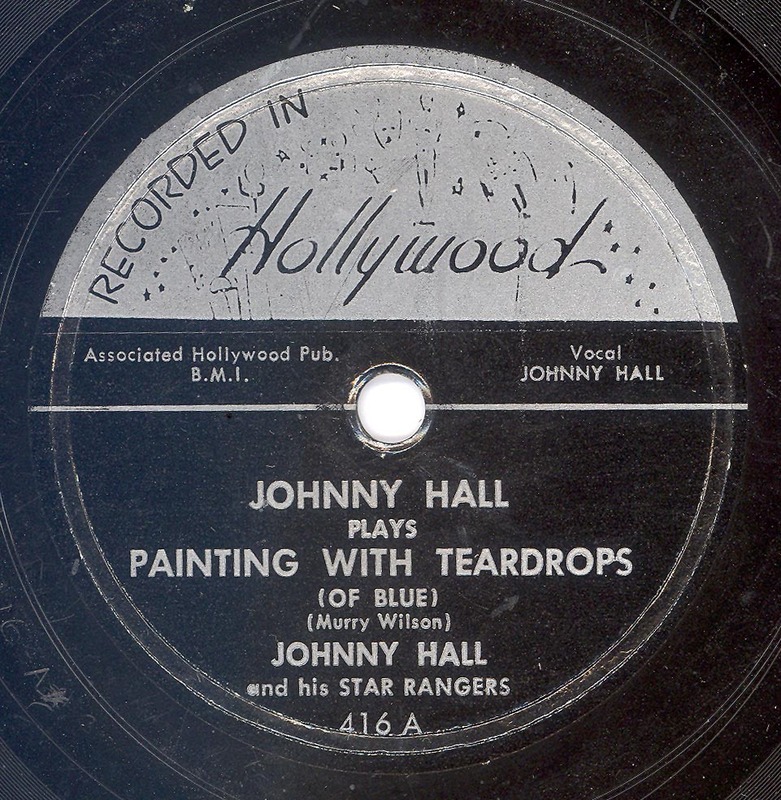 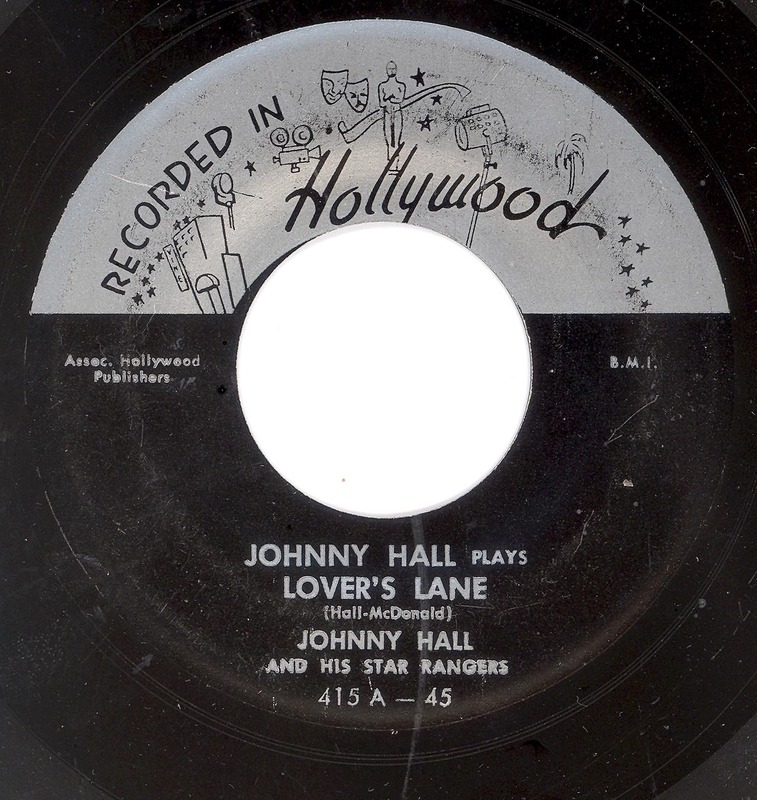 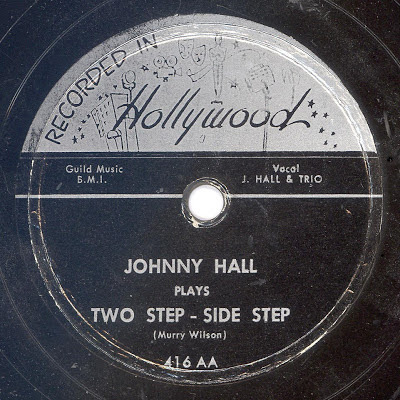 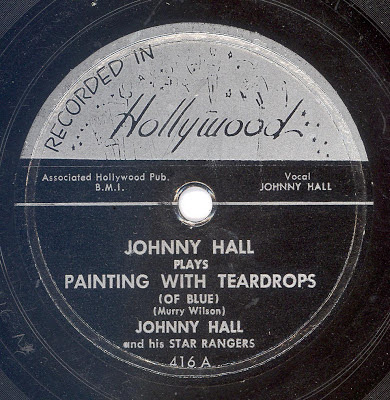 John Dolphin's RECORDED IN HOLLYWOOD label was primarily known for its Rhythm & Blues releases; However, tucked away on the label was a handful of Hillbilly releases.